What is limoncello? – Arizona Orange Co.
Posted in Information on December 6, 2018 by Oliver Orange. Turns out it’s not just Grandma’s spiked lemonade. If you’re intrigued about everything that has to do with limoncello, sit tight and let us school you for a moment. We’ve got the insider info, the scoop, the schpeel, and the recipes to get you well versed on the Italian nectar that is limoncello. Lemon what? Straight from Italy, pronounced “LEE-mon-CHELL-oh”, limoncello is a liquor made from lemon peels, sugar, water, and alcohol (traditionally “grappa” or vodka). The exact pioneers of limoncello remain a mystery, but we sure enjoyed discovering the possibilities. (Our guess is they were all related at some point and then branched apart), but each source sticks to their story about creating the original recipe. Legends stem from family recipes around Capri, Sorrento, and the Amalfi Coast. Each have a slightly different taste due to a different production process. Though the exact origin depends on the Italian you talk to, one exciting legend boasts that in the early 1900’s Lady Maria Antonio Farace had a small boarding home in Capri with an orange and lemon orchard. She created this liquor to serve to her guests during their stay. The recipe was passed to her grandson, who continued the tradition by way of a post-WWII bar, and his son patented the concoction in 1988, leading to the very first ever trademarked and bottled “Limoncello”. Rich families in Sorrento have records of distinguished guests enjoying limoncello at their homes in the 1900’s, and Amalfi residents claim limoncello recipes are as old as their world renowned lemon cultivation. We may never know who was the precise pioneer of Limoncello, (likely they were all related at some point and then branched apart), but each origin sticks to their story about owning the original recipe. Legends stem from family recipes around Capri, Sorrento and the Amalfi Coast. Each have a slightly different taste due to a different production process. We couldn’t choose just one, so we gave you all the options. Surefire way to decide? Travel to Italy and decide for yourself! Don’t let the simple ingredients fool you, the production of this liquor is more art than recipe. From how lemons are picked from the tree, to the zest that is used, these lemons are treated like royalty from start to finish. Rightfully so, this tradition has been preserved and perfected for over a century. This is where we get to the “It’s not just Grandma’s spiked lemonade” part. 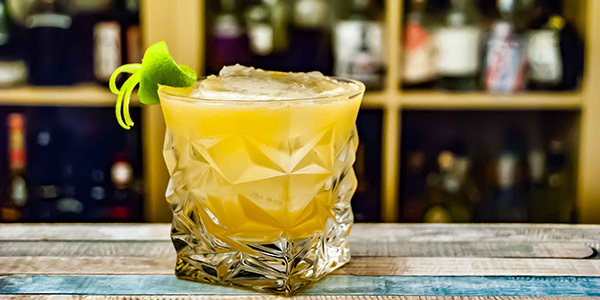 It takes over 90 days to create this lemon libation. Starting with only the most beautiful lemons, Italians plucked the juicy citrus straight from the tree (never picking them off the ground). They were brushed and cleaned with hot water and the rinds were removed. The rinds went into an alcohol soak at room temperature. Once they were completely saturated, it went into the freezer. Sounds easy, right? Check out our suggestions for the best limoncello ever. The Lemons MATTER. Most grocery store lemons are bathed in wax, and when you’re using the rinds (um, actually always), this little detail matters. Choose high quality Meyer lemons, (We like Arizona Lemons because they are the best quality and we never use wax to coat our lemons.) that are picked in season (approximately December through March). Don’t Skimp on the Process. You can probably make limoncello faster but why sacrifice the quality? Lemons have many health benefits, so ditch the guilt and follow the directions. Liquor Choice: Grain Alcohol is ideal for authenticity, but not always available. We’ve found 100 proof mid-grade Vodka is a good alternative. Feeling adventurous? Orangecello is a great alternative or pairing buddy to limoncello! Remember: just like lemons, friends make friends buy only the best oranges. We prefer Arizona Navel Oranges because they are known to be larger and sweeter. Quality always matters. Here is a fantastic step-by-step for those stepping out on their first limoncello endeavor. Follow closely, and enjoy the process. We’ve already talked about this a bit, but the main reason is the rind is money-maker in limoncello so the quality must be the best you can get. Our favorite are Arizona Lemons, shipped only in season, and the rinds are wax-free. This is so important because again, you’re using the rinds. If you can’t get wax free lemons, you’ll need to work extra hard on this step. Soak them, scrub them, even vegetable spray scrub them. Get those babies sparklin’. Filter your liquor and zest the lemons. Before you zest, start filtering the liquor. We do this for authenticity and because we were told to. A Brita filter works best, and running your alcohol through 3-4 times seems to be effective. For the most efficient zesting process, use a microplane zester. There really isn’t another way to zest a lemon or orange. This part is the most important step. You can’t have any of the white part in your zest or your product will be BITTER. Lightly zest all your lemons and err on the side of caution. They will still be yellow when you’re done. We plan for this and call for extra lemons in our recipe to compensate. Use a very clean mason jar and make sure it will hold your entire batch before you pour. Label the jar with the date it was made and any details to the recipe you used, and set aside. We shake it about 4 times in the first week and then hide it so we aren’t tempted to open it. Ideally, you will let it sit at least 45 days for the best result. For the first pass, a flat bottom permanent coffee filter works well. This removes the largest chunks. Then we use disposable coffee filters inside the permanent one for two more filtering passes. Lastly, we run it through the permanent filter by itself one last time “just in case”. Important: When you get to the point where you don’t have much dripping out, resist the urge to squeeze the junk to get the last of it out. We know — we’ve tried. Just throw it away. You’re filtering for a reason! Make and add the syrup. Bring 5 cups of filtered water to a boil, remove from heat, and add 3.5 cups of white sugar to it. Stir and let it sit until it’s room temperature, then add to the lemon mixture. Screw the lid on and shake ‘er up. Mark the date (again) and get ready to… yep, wait. At least another 45 days. It’s worth it, promise! Wash, dry, and sterilize bottles before using them. Any bottles will do, and you can get as fancy as you’d like on this step. Wait a week after bottling, and serve. The limoncello tends to settle in and mellow a bit after about a week in the bottle. If you can stand it, wait. If you can’t.. Pour over ice and enjoy the fruits of your labor!